Suffolk police said a man dressed up in a multi-colored dress and wig to rob a business. SUFFOLK, Va. — The Suffolk police are looking for a man who dressed up for the occasion and robbed an Approved Cash on Friday. Emergency Communications received the 911 call around 10 a.m. about an incident that took place at the Approved Cash location in the 800 block of West Constance Road. The suspect went into the store, showed he had a gun and demanded money from an employee. He was able to get away before police arrived. 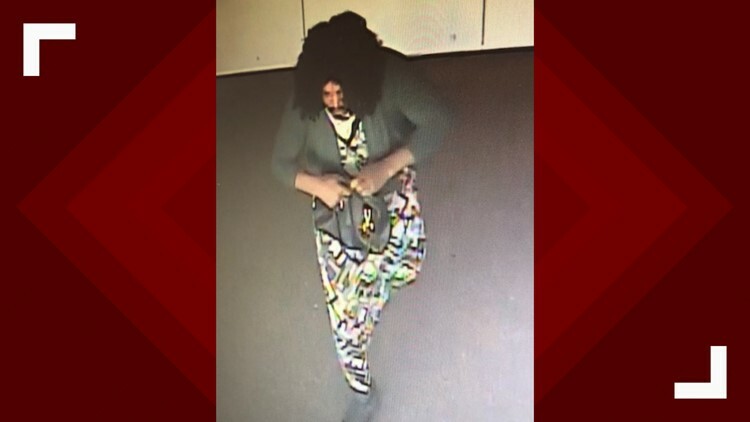 What's interesting is, police said the suspect was a man who was dressed in a multi-colored woman’s dress, wearing a wig and carrying a purse. Police described the suspect as a black man who is about 5’9” to 5’10”, with a mustache and goatee and a medium complexion. Anyone with information about this incident should contact the Suffolk Crime Line at 1-888-LOCK-U-UP.